These 5+ Actresses Who Treat Their Father-in-Law As Their Father, No. 5 is Everyone's Favorite! 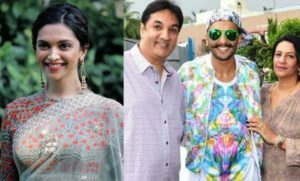 These 5+ Actresses Who Treat Their Father-in-Law As Their Father, No. 5 is Everyone’s Favorite! In our country, we don’t only connect our strong relationship with he/she marrying with but we also accept every member of each others’ family. And this is the tradition we use to follow for years. So, there are some actresses who got their parents in the form of fathers-in-law. 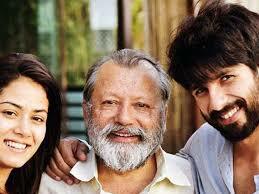 Have a look at these Bollywood actresses who admires her father in law like her father. Well, Everyone knows about the strong relationship between Aishwarya Rai and legend Amitabh Bachchan as it always appears when they get spotted on some stage show or somewhere else they are together. Aishwarya Rai treat Amitabh Bachchan her father. Prior to her marriage with Abhishek Bachchan, Aishwarya and Amitabh have also worked in various films like Sarkar Raj, Kyu Ho Gaya Na, Mohabbatein, Khaki. Neha Dhupia had privately married her boyfriend Anand Bedi recently. Anand Bedi is the son of former Indian cricketer Bishan Singh. The relationship between Neha Dhupia and Bishan Singh is like father-daughter. Samantha Akkineni has done Love Marriage with Naga Chaitanya. Samantha Akkineni is a very successful and famous actress of the south film industry while Naga Chaitanya is the eldest son of South superstar and hugely famous actor Nagarjuna. Samantha and Nagarjuna share strong father-daughter like relation. They have also worked together in films like Dayalu, Raju Ghari Ghadhi 2 and Manam. Actress Anita Hassanandani acted in many TV serials and got famous from their then, later on, she also acted in some Bollywood films. Now, She has married businessman Rohit Reddy. Rohit Reddy’s father is an Army man. 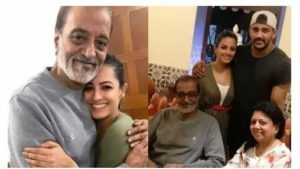 Rohit Reddy’s father and Anita Hassanandani share a father-daughter relationship. This couple has been in a lot of buzzes. Recently, Deepika married her boyfriend Ranveer Singh. Ranveer Singh’s father is Jagjit Singh Bhavnani who is a businessman. Deepika also considers her father-in-law Jagjit as her father. 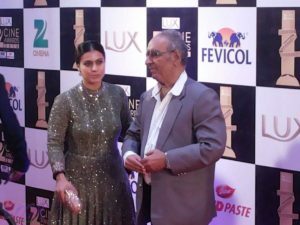 Indian Bollywood actress Kajol Devgn with father-in-law Veeru Devgn have father and daughter relationship. They have seen many times on the party and shows. 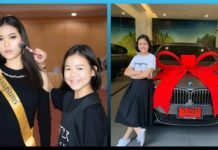 Mira too is a family oriented woman and respects his father-in-law as her real father. Next article10 Bollywood Actresses who married late in life, No.8 was 60 years old! !